Most of this blog is written by Zane Selvans. That’s me above. I take a lot of the pictures too. 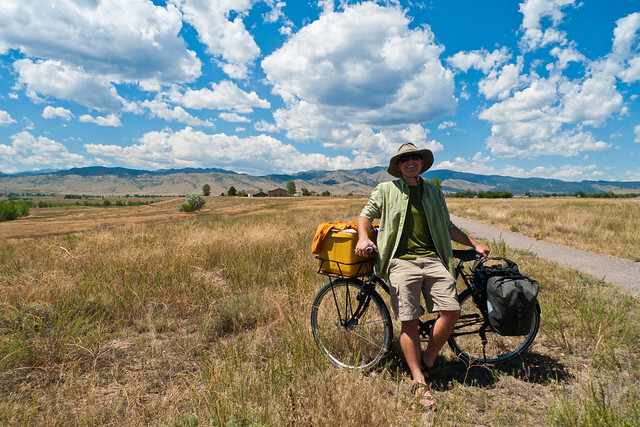 I live in Boulder, Colorado, and I’m a member of the Advocacy Committee of Community Cycles. I also serve on the City of Boulder’s Transportation Advisory Board. (However, the opinions expressed here are strictly my own.) I don’t have a car. I bike just about everywhere in almost any weather, and I love it. I also have a PhD in planetary geophysics and a background in computer science, but that’s really irrelevant in the context of this blog. Actually, it’s more broadly irrelevant too. But that’s another story altogether. 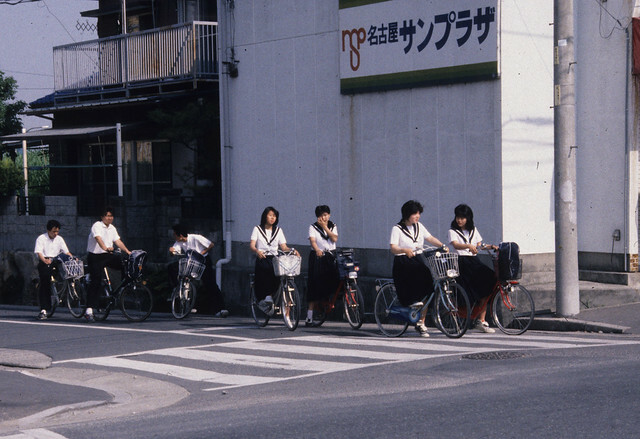 My bicycle love affair began in Japan when I was 14. I rode a heavy single-speed bike to school in the sub-tropics of Kyushu wearing a navy blue wool uniform, along with thousands of other similarly equipped and attired students. My only academic responsibility was learning Japanese, and all the other students were busy with homework, so in the afternoons I’d wander around the countryside outside Miyazaki alone on my bike. Rain or shine, night and day. I discovered hidden shrines and fireflies. Steep forests of bamboo and endless pancake flat rice paddies. Deafening cicadas and the kero-kero of tiny frogs. Warm, wet tropical storms, and winds that would let me coast across the plains. When I finally came home to central California, and started my sophomore year of high school, there was no question about whether I would keep riding Ernie’s school bus number six, which took 90 minutes to move me 3 miles because it had to wend its way through the countryside picking up all the other rural students. On a bike, I could make the trip in 11 minutes, which made a big difference when school started at 7:30 in the morning. I never felt the need to get a car. Bikes let cities be human in a way that cars never can, because they’re quiet, they’re safe, and they don’t take up much space. We built cities at human scales for thousands of years. Only in the last century have we decided to re-imagine them as places for cars. There’s no reason we can’t go back to building them primarily for people, and lots of reasons why we might want to. This is an excellent blog. I particularly liked the articles about Jan Gehl and his unique work for livable cities. Just reading your most excellent blog today after a few links later from Community Cycles. It’s really well written and of course I couldn’t agree more with everything you say. It reads like David Byrne’s book but on a local present day level. I love all kinds of biking in all weather, everywhere, as far as I can go, as often as I can, and with whoever will join me. Nobody can say the same about driving their car.